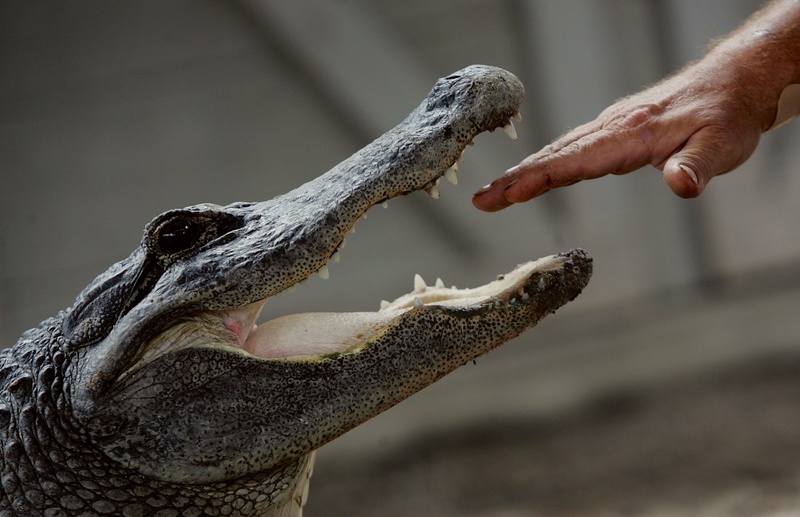 Tom Batchelor puts his hand in the mouth of an alligator during a wildlife show at the Gator Park in the Florida Everglades n Miami-Dade County. The calf was then put down when rangers could not get the herd to accept its return. Despite literal signs and continued headlines about the dangers of approaching wildlife, why do some humans still get up close and personal with animals?